The latest change to Facebook’s News Feed algorithm factors in the amount of time users spend viewing posts, but how are those users spending their time on the social network? Stories will be up-weighted in importance if a user spends a greater period of time looking at them compared with other things on their News Feed, and this will provide the social networking giant with a new way of identifying which content is generating the most engagement. But it’s also very much in line with the move toward more passive forms of networking on Facebook. As today’s chart shows, “logging in to see what’s happening without posting/commenting on anything” is now one of the top behaviors on the site (and one which is majoritarian among the key 16-24 demographic). As smaller networks and chat applications capture much of the activity that used to take place on Facebook itself, this move will provide the company with ample ammunition to argue that even those who are browsing it passively remain engaged with the site–and hence can still respond to ads they see. Readers: Which of these activities did you perform on Facebook over the past month? 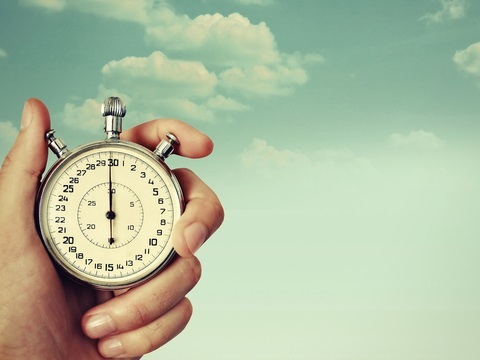 Image of stopwatch courtesy of Shutterstock.